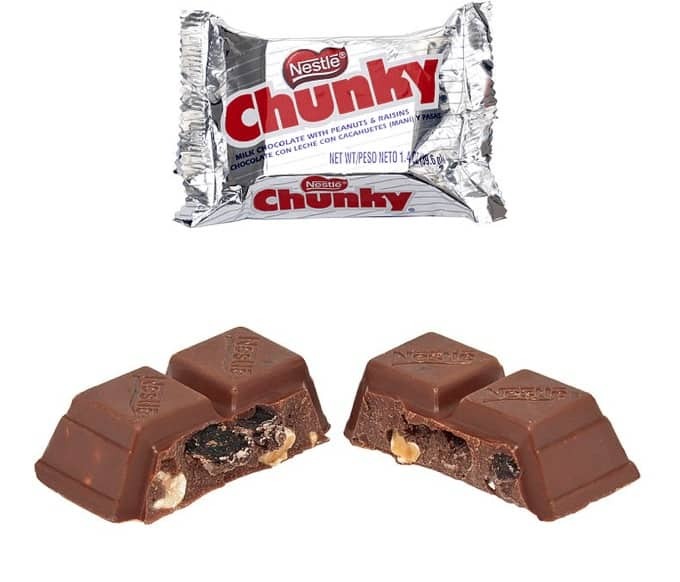 If I had to pick my all-time favorite candy bar, the Chunky Bar would probably be it. The combination of dark velvety chocolate, chewy raisins and crunchy nuts can still make my mouth water. 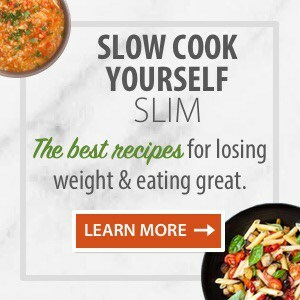 I haven’t had one of these candy bars in years, but when I came across this recipe in America’s Test Kitchen Naturally Sweet Cookbook (affiliate link) I couldn’t wait to give it a try. By comparison, Nestle’s king size Chunky candy bar has a serving size of 1 with 340 calories and 19g fat with 17 WW Freestyle SmartPoints! 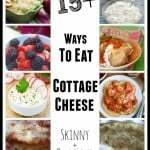 I chose toppings that appealed to me, but this is one recipe where you can get creative and make it your way. Topping choices are limitless. 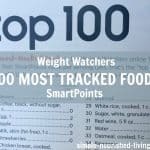 How Many Calories/WW Points In Each Fruit & Nut Chocolate Candy? 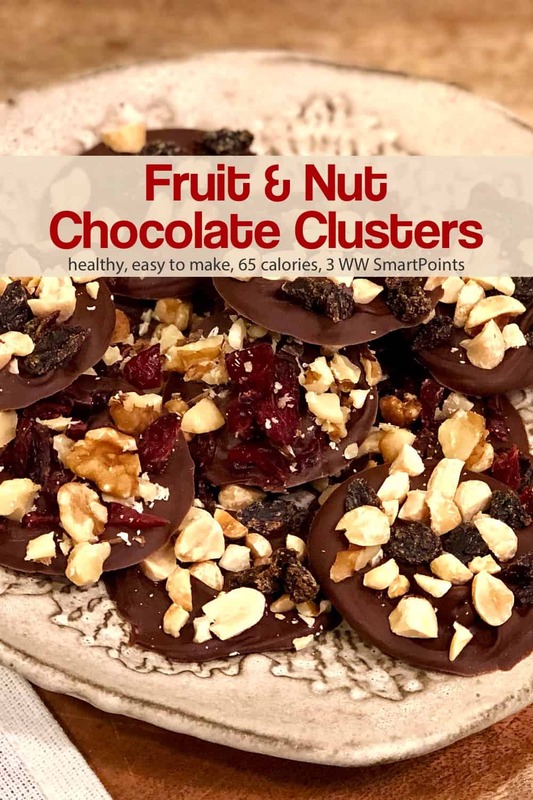 According to my calculations, each chocolate cluster with fruit and nuts has just 65 calories, *2 Weight Watchers PointsPlus, *3 WW Freestyle SmartPoints. 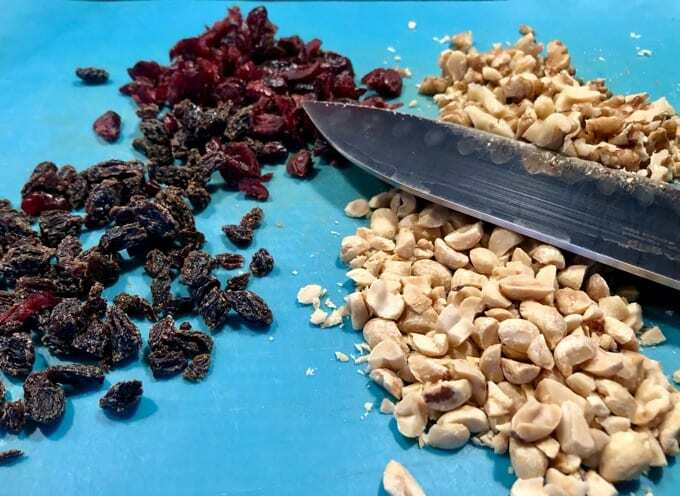 Optionally, you can also lightly toast the nuts before chopping. Toasted nuts give a deeper flavor and color and will also help make the nuts crunchier. To toast nuts, simply add them to a dry non-stick skillet over medium heat until rich golden brown—about 1 to 2 minutes. Stir frequently to ensure they toast evenly. The nuts will give off a toasty warm fragrance when done. Add 2 ounces of the chocolate chips to a microwave proof bowl and heat at 50% power for 30 seconds. Remove bowl from the microwave and stir. 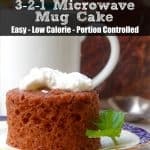 Return to microwave and heat for another 15 to 20 seconds at 50% power. Remove bowl and stir in remaining chocolate chips and continue to stir until melted. 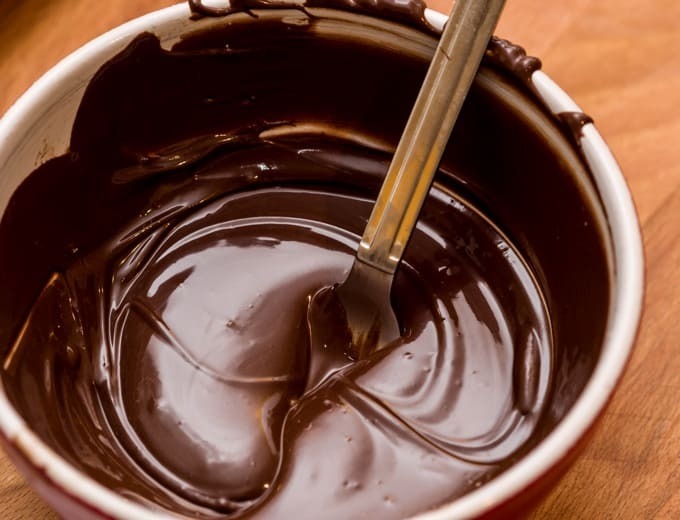 If necessary, heat in microwave at 5 second intervals and continue to stir until chocolate is completely melted. Drop 1 teaspoon of chocolate onto sheet pan lined with parchment and spread into a 2- to 3-inch wide circle with the back of a spoon. Quickly repeat to make 12 chocolate circles. 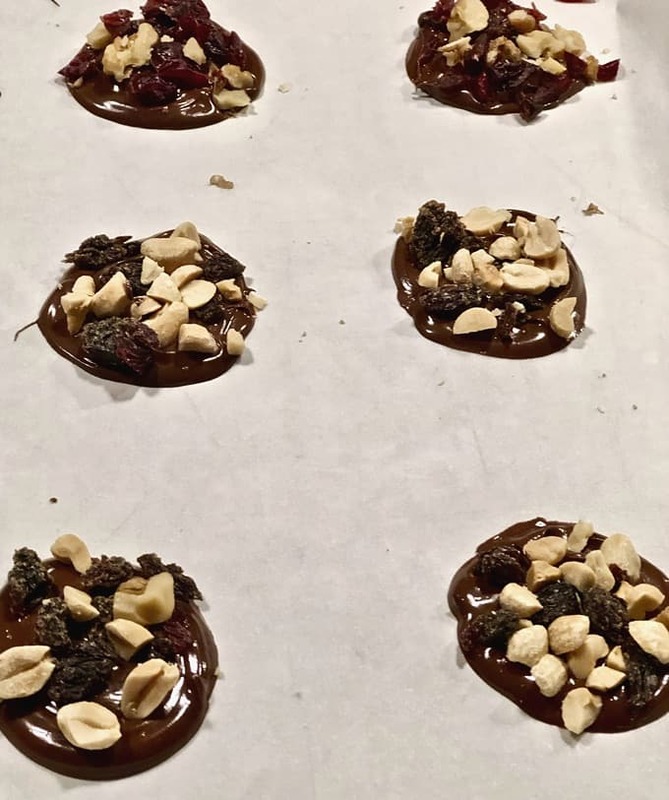 Sprinkle fruit and nuts over the top of the chocolate circles and press lightly to ensure the toppings stick to the chocolate. 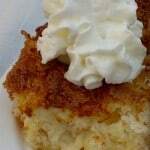 Cool until firm (about 45 minutes), or refrigerate for 20 minutes to enjoy sooner! Vary the fruit toppings to your liking: dried mangos, dates, cherries, apricots, cranberries, raisins and prunes would all taste great. Some of our favorite nuts include: walnuts, almonds, peanuts, cashews, hazelnuts and pistachios and you could even use pumpkin or pomegranate seeds. You can also stir in 1-2 drops of doTERRA essential oils into the melted chocolate. Think Wild Orange, Peppermint, or even On Guard Protective Blend. Get creative and make the clusters your own. 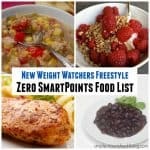 Please note that your calories and WW SmartPoints may vary based on different fruit and nut combinations used. 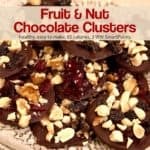 If you’ve made these Fruit & Nut Chocolate Clusters, please give the recipe a star rating below and leave a comment letting me know how you liked them. 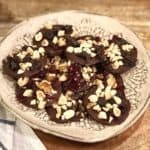 This quick and easy candy is basically a low-sugar version of the more traditional nut clusters found in most chocolate candy assortments. 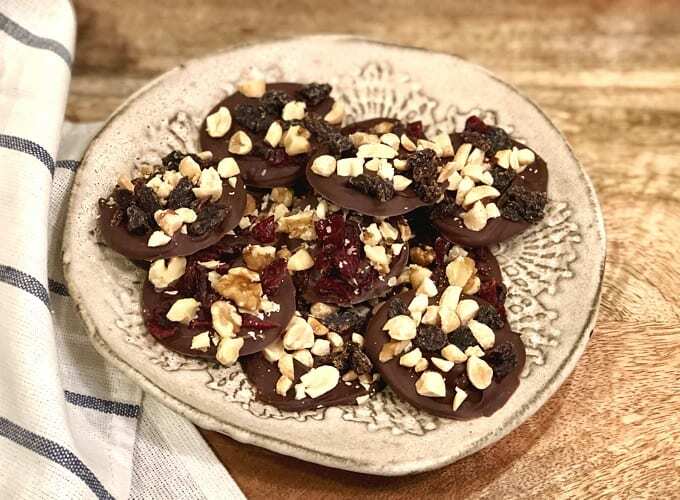 The deep rich chocolate provides the perfect light, yet satisfying, perfectly portion-controlled ending to any dinner, or makes an elegant addition to any holiday platter. Add nuts to a non-stick skillet and dry roast for just a couple of minutes (optional). Chop nuts and fruit. Add to a single bowl, or keep items separate if your prefer. 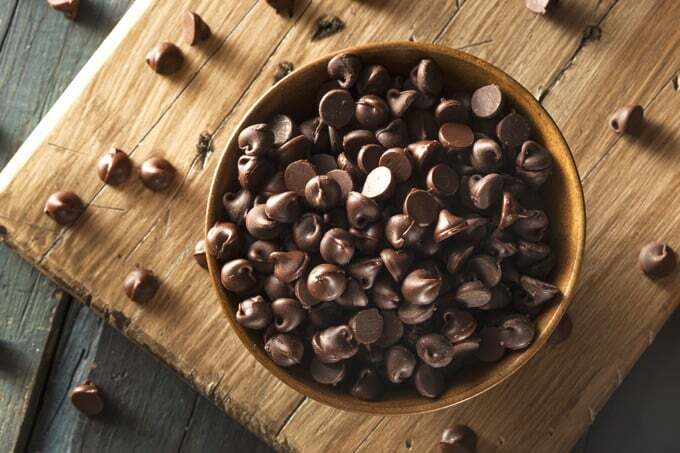 Add 2 ounces of chocolate chips to a glass bowl and microwave at 50 percent power for 30 seconds. Remove bowl and stir chocolate. Microwave at 50 percent power for another 15-20 seconds. Remove bowl and stir in remaining ounce of chocolate chips. Continue to stir until chocolate is completely melted. 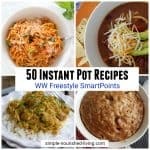 If necessary, return to microwave for 5 second intervals. Drop 1 teaspoon of chocolate onto parchment paper and spread into a 2-3 inch circle with back of spoon. Quickly repeat with remaining chocolate to make a total of 12 chocolate disks. Sprinkle fruit and nuts over the top and press lightly so the toppings stick to the chocolate. Let cool until chocolate firms (approximately 45 minutes) or refrigerate for 20 minutes if you can't wait. I had to put each candy in a snack bag and close it quickly or eat more than one. They are that tasty.